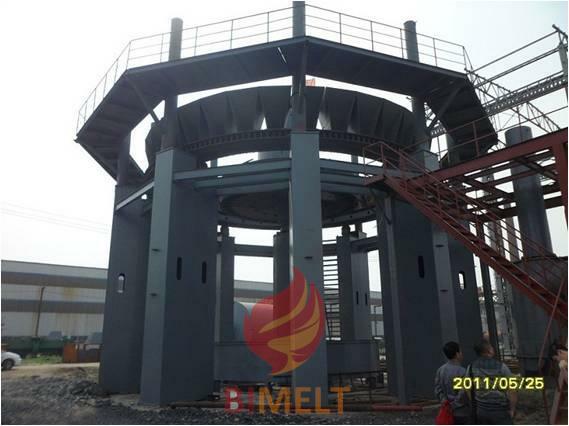 Circular type sintering machine is usually used for the blast furnace volume under 200m³， the advantages are high performance cost ratio, short construction period, convenient for dust removal and crushing treatment, compared with box type sintering type, the air leakage ratio is improved at some degree, the production environment and the labor intensity of workers also get well improved, the sintering ratio usually can achieve 70~80%. 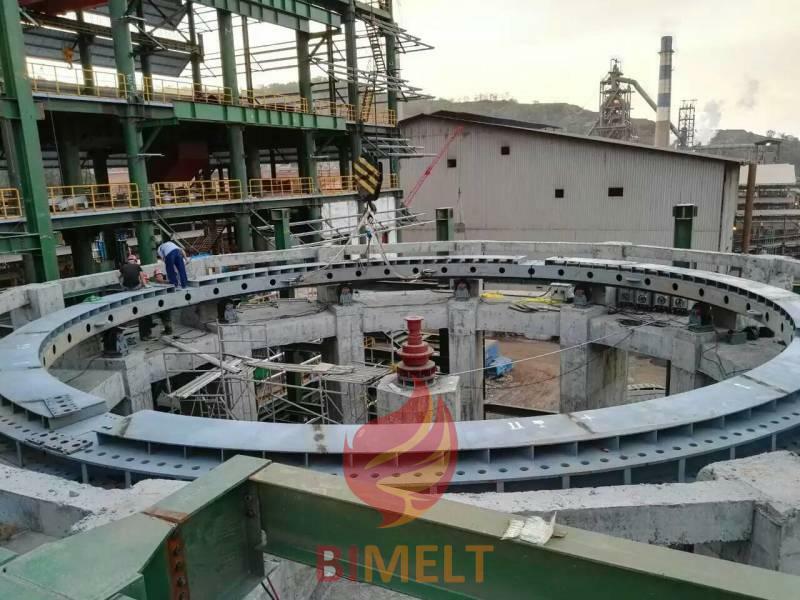 The sinter plant is composed of raw materials stock yard, crushing chamber (flux), batching room, primary and secondary drum type material mixer, downdraught sinter disk, end products crushing and screening and transfer station. Types of sinter: The value of CaO/SiO2 ＜ 1, it is non self-fluxing sinter, it is self-fluxing sinter if the basicity is 1~1.5,it is high basicity sinter if the basicity is 1.5~2.5. 1. 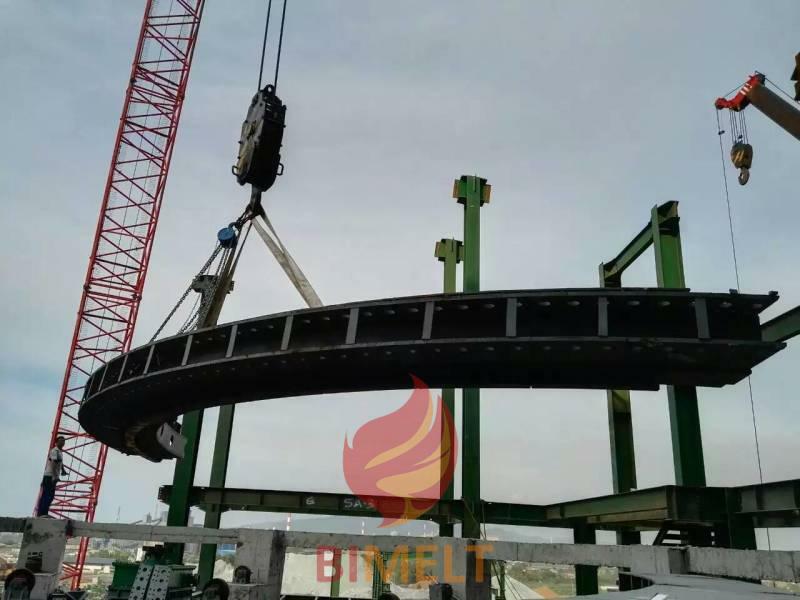 Ferrous raw materials mainly include magnetite, hematite, limonite, siderite, iron ore powder is the main raw materials for sinter production, its physicochemical property affect the quality of sinter a lot. 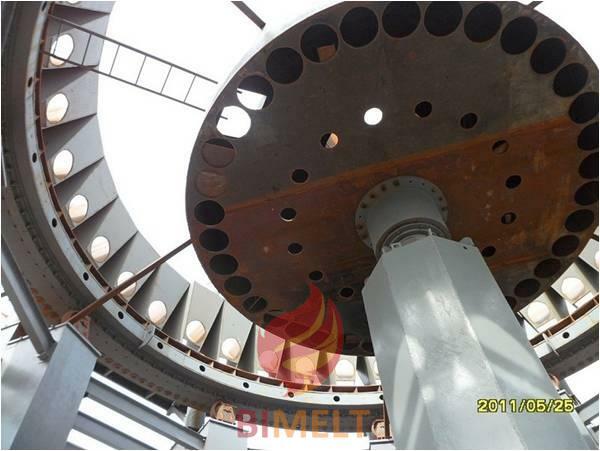 The requirement for iron ore powder include high grade, stable composition, less impurities, the content of gangue is suitable for slagging, appropriate grain size, if the moisture content of concentrate is above 12%, the batching accuracy and the mixing uniformity will be affected. 2. The sinter flux can be divided into alkaline flux, neutral flux (Al2O3) and acidic flux (quartz). The commonly used alkaline flux have limestone(CaCO3),slaked lime(Ca(OH)2), unslaked lime (CaO),dolomite(CaMg(CO3)2). The requirement for flux include high efficient content, less acidic oxide, sulfur, phosphorus, etc. appropriate particle size and moisture. 3. The sinter fuel is composed of ignition fuel and sinter fuel, sinter fuel is the combusting solid fuel between material beds, the common types include broken coke and anthracite, some component like phosphorus, sulphur, ferrous sulfate in sinter raw materials can release heat during sinter process and become auxiliary heat source, the requirement for solid fuel is high fixed carbon, low volatiles, ash and sulphur content.